Domestic refrigeration repairs experts in the SE Melbourne suburbs. Qualified & certified with all licenses. 15 years experience, most jobs within the hour. Fridge 0 are the refrigeration repairs experts in the South Eastern Melbourne suburbs. Domestic home refrigeration is our speciality and we are qualified and certified with all licenses - which, beware: not everyone has! This means we are able to repair most aspects of your home fridge problems. frost free which engages every few hours to melt the ice. This is the most common issue. fridge is tripping the safety switch. Sometimes people call the electrician first but often it is a problem with your fridge which needs a qualified refrigeration technician. We are fully equipped for re-gassing refrigeration systems and replacing compressors for which qualifications are necessary (requires two different up-to-date licenses, which we have). We understand that a fridge that isn’t working on a hot day means your food is spoiling so we do our utmost to get to your home or premises within the hour if needed. We provide a free loan fridge if we need to take yours back to the workshop for repairs. 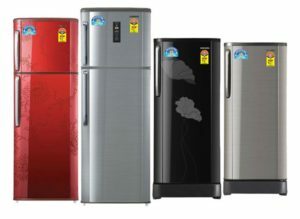 We specialise in the most recent fridge designs (models with electronic boards), Westinghouse fridge doors, most makes and models. From Frankston to Ringwood, Brighton through to Kew, we service the South Eastern Melbourne area so that you can relax knowing that your food won’t spoil and your beverages will be icy cold again before you know it! We also give you helpful tips on how to keep your fridge running well to avoid further breakdowns in the future! Happy to answer any refrigeration repairs questions you may have. No call out-fee just a $50 quotation fee after we've assessed your fridge which only applies if you decide not to go ahead with the repair work (assuming it is needed).